hurt on the freezing slopes. unprecedented access to its most inhospitable domains. calling (“an eagle, that’s what you want to be”), and he’s fearless. 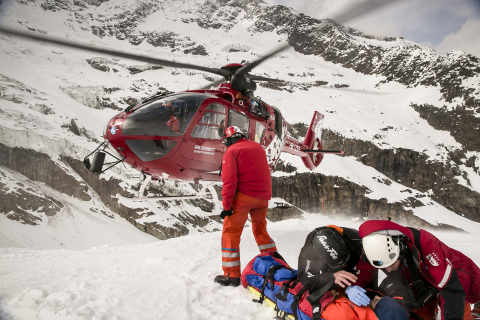 rescue missions over 25 years – push the limits to save lives. natural-born mentor to the next generation of flight paramedics. backcountry for hunting and outdoor photography when he’s not on duty. life-or-death situations under extreme conditions on The Horn? Producer for Red Bull TV. Red Bull TV on October 17 at: www.redbull.tv/TheHorn. To view The Horn trailer, please visit http://win.gs/TheHornTrailer. consoles, OTT devices and Smart TVs.